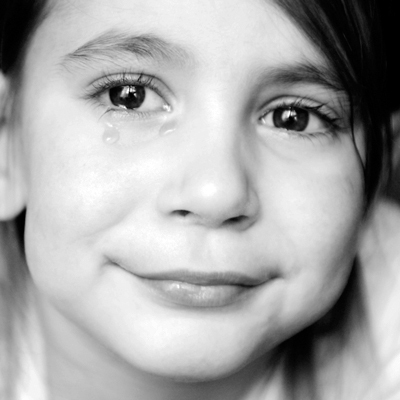 Wipe Away Those Tears has no cures to offer and all too often some of our wishes will end in sadness, but during desperate times when there seems to be no hope we aim to wipe away those tears and bring a sparkle into the lives of these special children, no matter how big or small. Wipe Away Those Tears was set up in 2006 with the aim of raising money from a Summer Ball each year. In February 2007 my dear father, Phil O’Shea, sadly passed away. Instead of flower tributes at his funeral friends and family paid tribute by making donations to wipe away those tears. It seems fitting that the charity I founded received these initial donations in memory of my beloved father. Grace is nearly 3 years old and is a very rare gem. She is the only one world-wide with her chromosome deletion and with this comes many different complexities and disabilities. Grace is on 24 hour care, feeding tube and emergency oxygen due to respiratory issues and requires a wheelchair as she is non-mobile and non-verbal. Her Dad wrote to Wipe Away Those Tears as they had purchased a garden shed and painted and put carpet in it for Grace as a sensory room. Twice now it has been broken into and vandalised and the sensory toys stolen or broken. Wipe Away Those Tears were delighted to purchase the items requested at a cost of £400. Wipe Away Those Tears are delighted to purchase a car seat for a little boy with cerebral palsy who has been placed in foster care. This will ensure that he is transported safely to and from school. The cost of the car seat is £150. Ajooni is 3 years old and was diagnosed with B CELL Acute Lymphoblastic leukaemia in May 2018. She is on a 2 year treatment programme at Great Ormond Street Hospital. Her parents had planned a trip to Peppa Pig World last year for her 3rd birthday, but she was diagnosed three weeks before the trip, so they had to cancel. She asked the whole year to go to Peppa Pig World, but her family were waiting to hit the maintenance phase of her treatment, as she is immuno suppressed. She is now in cycle 2 of maintenance and as her 4th birthday approaches, Wipe Away Those Tears are delighted to have purchased a two day pass for the family at a cost of £222. We received this lovely photo from her mum and an email saying, “We had a wonderful trip and Ajooni was literally speechless for the first few minutes with excitement. Many thanks for making this happen. We thank all the Wipe Away Those Tears supporters who help kids like Ajooni, to put a smile on their faces”. Kessie is 8 years old and has just been diagnosed with Chronic regional pain syndrome. Within months she has gone from a sporty lively little girl, to someone that is in a wheelchair not being able to use her feet or hands. Kessie at present is not able to attend school as she needs a EHCP, which they have been told could take months. Her mum is keen to keep her education up to date as much as possible. Wipe Away Those Tears are delighted to purchase a touch screen laptop for Kessie that she can operate by using her knuckles. The cost of this is £435. We have a 19 month old daughter that’s had the worst start to life. Since birth my daughter Savannah has been in unexplainable pain all day every day. She stopped feeding completely at 7 weeks old and hasn’t regained this skill again fully. She is fully tube fed and it’s really effecting the quality of her life and stopping us doing things as a family as she’s so unsettled. We have a five year old too and she is desperate for her sister to do things with her. Most of her ideas are written off, due to them not being safe for Savannah. A simple thing like swimming is not possible due to the risk of infection and a day out means she’s stuck in the buggy on her feeding pump. Recently we have been informed of another problem with Savannah to do with mobility. This is currently being investigated but we’re trying lots of ways to correct a walking problem and strengthen her legs. One way we have found of doing this is allowing her to push herself along on a scooter or trike belonging to her sister. We really feel that Savannah would benefit from her own scooter similar to her sister’s, to help her have adventures and explore the outdoors. Oliver is nearly 18 years old and was immediately diagnosed as having cerebral palsy after a very difficult early emergency c-section. He has since been diagnosed with epilepsy, learning disability, sensory processing disorder and more recently cerebral visual impairment. As you can imagine life with Ollie has been challenging and complex. He uses some simple vocabulary to communicate. His parents have been searching for a long time for a communication device to help him develop his speech, interact with others, initiate conversation and enable unfamiliar people to understand his needs. He has recently been trialling an auditory scanning device, which has proved a huge success. His mum wrote to Wipe Away Those Tears saying, “As you can imagine, having his own device would open up a new world for Ollie. As he now transitions into adulthood the ability for him to be understood is even more important”. I just wanted to say a massive thank you for ordering the bits for me. You don’t know how much it means to me and my children. It’s taken a huge amount of pressure off me and I’m so happy that we can finally start enjoying going out as a family and have a suitable buggy for Eloise’s equipment. Eloise was born on the 23rd May 2018 and stayed in hospital until 14th December 2018. While in hospital she went through a lot. She was transferred to NICU at St Thomas’s the day she was born due to her heart condition. While there they found numerous other problems. Every day I went in they found something else. They then said they thought she had CHARGE syndrome so went ahead with the genetics testing, this was confirmed in October 2018. Thank you so so much again, you really have changed our lives. Caitlin is 9 years old and has a rare genetic condition called Cri Du Chat syndrome. She was born prematurely with no other complications and after numerous hospital visits, she was diagnosed at 22 months. Her condition means she is non-verbal, has global developmental delay, sensory processing disorder and hypotonia. Caitlin is completely unaware of danger and needs constant supervision. She is a loving and happy little girl and loves the outdoors and swimming. As she is getting taller and heavier, her Mum is finding it increasingly difficult to get her in and out of her car seat which she has outgrown. Wipe Away Those Tears are delighted to purchase a specialist car seat for Caitlin at a cost of £2,274. George is 22 months old. He was born with Congenital Heart Disease, and had a VSD repair when he was just 5 months old. Since his operation he had to be tube fed first via NG tube, and now he has a gastrostomy (Mickey Button) as of June 2018. He is visually impaired, he has a cleft palate and he has an eventration of the diaphragm which impacts his lung function. He was also diagnosed with a rare genetic disorder called Kabuki Syndrome, affecting 1 in 32,000 children, in May 2018. His mum wrote to Wipe Away Those Tears saying, “George is very delayed compared to his peers, but he is one of the happiest boys you will meet. He needs a car seat that would support him, as he is still quite small and floppy due to his hypotonia. He has only just starting sitting up by himself in the last couple of months”. Wipe Away Those Tears are delighted to purchase the car seat for George at a cost of £250. Mair is 11 years old and has Rubinstein-Taybi Syndrome (RTS). She has poor muscle tone, hyper-mobility and severe learning difficulties. She is just learning to speak, with intensive help from the staff at her wonderful school. Mair enjoys going cycling and her family would love her to be able to cycle independently eventually, but she is currently too weak to be able to do this herself. Wipe Away Those Tears are delighted to purchase a specially adapted trike for Mair at a cost of £2,300. wipeawaythosetears.org | Registered Charity No 1122670 | All rights reserved.